I realised at the weekend that it’s exactly two years since I started my freelance life. Two whole years. While anniversary day itself sort of passed me by, it seems fitting that this milestone comes as I’m about to take a break and go exploring Europe for a few weeks. It’s a good time to take a deep breath, reflect a bit on how things are going, how they could be better, and how great this journey has already been in such a short space of time. I’m not alone in suffering from what lots of people term ‘Imposter Syndrome’. That feeling that you one day someone’s going to unmask you as a big fake and rubbish at your job. That you shouldn’t really be doing it, and why on earth would anyone ever pay you to write stuff for them. My first year of freelancing was a constant sigh of relief that yes, people would pay me to write for them – whether that be newspapers, companies needing words for websites, brochures and reports. And that yes, people also seemed to think that I know what I’m talking about – that I can help them when it comes to promoting themselves and telling their stories. I went into year two a lot more confident, with a growing list of contacts, some great clients and a better idea of the rhythm of this whole freelancing thing. This second year has been a bit of a whirlwind really. I’ve continued working with Stratforward BID and helped them secure coverage for their events, including my wonderful ‘Car-aoke competition’ at their recent Festival of Motoring. I’ve also helped Cityserve, the education catering division of Birmingham City Council, get national trade publication for their events and initiatives. Of course, the journalism continued and I had some amazing opportunities to do fun things and write about them, from foraging for mushrooms with Glynn Purnell to visiting to Poland to look at vodka terroir and Italy to learn about prosecco. I covered the UK team selection for the Bocuse d’Or, live blogged the Royal Wedding for Yahoo News’ global live stream, covered events for the Guardian and wrote about AI for a special supplement in the Times. 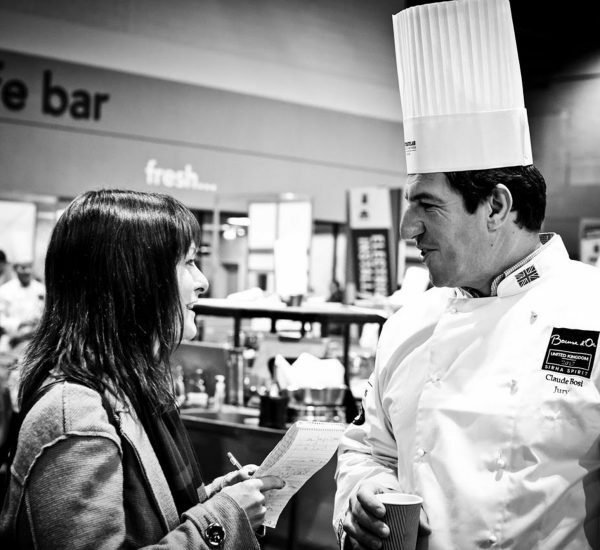 The job has continued to throw up some great opportunities, from judging in food competitions to public speaking and meeting and interviewing a whole range of people – all incredibly inspiring. And that’s before we get to the masterclasses, tastings and review opportunities that have come my way, in part thanks to a crossover between my day job as a journalist and my hobby of blogging about food. Having loads of work is great, but there is such a thing as taking too much on. It’s easy to get swept up in saying yes to people amid the excitement that they obviously think you can work, but if you take on too much you run the risk of not doing your best at each individual thing, not giving your clients the service they need, and stressing yourself out unnecessarily. People often won’t understand exactly what it is you do but that’s okay. In the world of social media loveliness, where we always talk about the great stuff, it’s easy for people to think that your life is one big holiday – especially when some of it involves meeting cool people, going to cool places and eating cool food. People don’t see the other side of it and often have a skewed idea of what exactly it is you do, but that doesn’t matter. As long as you’re happy with it. Running your own business is something that’s never ‘done’. You’re always going to want to do better, do more, and do different stuff. The big plan for my third year freelancing is to re-focus my business and make sure I’ve got the balance right of everything I want to achieve. That means writing for more publications, and writing BETTER. And yes, that might mean doing less and having a bit of a reassess to make sure there’s time to do it, but that’s the way it has to go. Despite the learning points, it’s been a great year. Freelancing is still the absolute best career decision I could have made and while it’s not without its challenges, it’s incredibly rewarding. A big thanks to everyone who has continued to support me, as well as the great clients I get to work with on a regular basis and the people I’ve met throughout the course of the year who have made it interesting, fun and fulfilling.